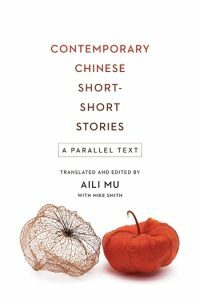 Contemporary Chinese Short-Short Stories: A Parallel Text Translated and edited by Aili Mu with Mike Smith. New York: Columbia University Press, 2017. pp. 528. ISBN: 9780231181532 (paper); ISBN: 9780231181525 (hard cover); ISBN: 9780231543637 (e-book). 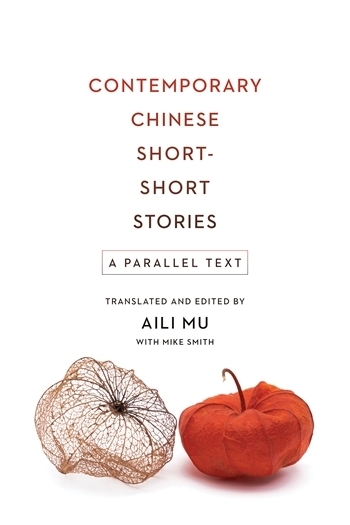 Contemporary Chinese Short-Short Stories (2018) is a parallel-text (Chinese-English) collection of Chinese short-short stories translated and edited by Aili Mu in collaboration with poet and essayist Mike Smith. It is a delightful read for anyone curious about contemporary Chinese society. The English translations of the stories are smooth and graceful, despite Mu’s conscious choice—for the pedagogical sake of Chinese language learners—of translating the text more literally than literarily. With the addition of the parallel Chinese text and the thoughtfully designed teaching materials, including introductory essays, glossaries, reading questions, and author biographies, the book makes an easy-to-use and much-needed textbook for teachers and advanced students of Chinese language and culture. Short-short stories (小小说) provide very appropriate authentic material for advanced Chinese language and culture students not only because of their short length, but also because of the diversity of topics and authors that can be included in a single book. In the introduction to Loud Sparrows: Contemporary Chinese Short-Shorts (Columbia University Press, 2006), Aili Mu and Julie Chiu reviewed the development of the short-short story in Chinese societies since the mid-twentieth-century. They attributed the popularity of short-short stories to the genre’s adaptability to new media and commercialization; to the limited and fragmentary reading time in the busy urban environment; and to the influence from Chinese literary traditions. In premodern China, there were established and well-respected genres of short narrative prose, such as chuanqi from the Tang dynasty (618-907), huaben from the Song dynasty (960-1279), and biji from various dynasties. These traditional genres prepared general readers, as well as those in elite literary circles, to accept the short-short story as a distinct and respected literary genre. In China today, there are established literary journals, frequently published anthologies, and regularly held national competitions for short-short stories. They attract a large number of professional and amateur writers who produce a large number of quality works. Loud Sparrows was the first book to introduce Chinese short-short stories to the English reader. The stories in Contemporary Chinese Short-Short Stories average between 3-6 pages in length. There are thirty-one stories in the book grouped under nine themed chapters: ritual propriety and humanity (礼和仁), being filial(孝), yin-yang (阴阳), governance (治), identity (自我), face (脸面), love (情爱), marriage (婚姻), and changes (易). From these titular themes, we can see that the book’s emphasis is on Chinese cultural traditions and social values. Stories in the book were mostly written between 2004 and 2013. They are set in contemporary China and focus on the lives of ordinary people of different ages and professions. The brief, English-only author biographies at the end of each story are a highlight of the book. As discussed by Aili Mu and Mike Smith in the introduction, there are three distinct types of authors represented in the collection: accomplished writers such as Wang Meng, Ge Fei, and Han Shaogong; literary professionals in the government; and ordinary people from all walks of life who became recognized short-short story writers through publishing in literary journals and winning national prizes. These bios make interesting stories on their own and present the reader with a kaleidoscope of contemporary Chinese literary careers and paths of upward social mobility. One memorable case is that of Li Lingling 李伶伶 (111-112). Her bio states that she grew up in a village in western Liaoning province and was diagnosed with progressive muscular atrophy at the age of fifteen. She started writing in her twenties and soon received recognition for her prize-winning short-short stories. She later expanded the story “Cuilan’s Love” (翠兰的爱情), which is included in the book, into a thirty-four-episode TV drama, and the royalties from the screenplay enabled her to move to the city and make a living through her writing. To a certain extent, the authors’ life stories are as revealing of contemporary Chinese society as the stories themselves. The stories explore a large range of contemporary Chinese values and social issues. Those in the impressive governance chapter investigate the structure and operation of local Chinese governments. Because of the institutional differences in the Chinese and US political systems, the operations of the Chinese government, especially at the lower levels, have remained a baffling subject for American students. The stories in this chapter, together with a very informative introductory essay, provide the reader with some basic knowledge about the county-level government system in China. “The Stone-Paving Project” (铺石板) describes how a mayor manipulates the townspeople to accept a government project of replacing cement roads in the old town district with stone-paved roads. After his success, the mayor remarks patronizingly: “It’s not that I don’t trust the townspeople. They need our guidance for things they don’t know anything about” (135). In “The Clear Pond” (清潭), Mayor Feng uses the sponsorship of a local entrepreneur to pave a road, but later suspends the production of a polluting paper mill owned by the same entrepreneur, which causes an intense quarrel between him and the county Party Secretary. The third story in this chapter, “Big Sweet Potatoes” (大红苕), is about a young secretary in a county government office struggling to write a report that will satisfy his superiors. He eventually learns that the trick is to stretch the truth to its limit in singing the praises of the County Governor. The authors of the three stories in this chapter are government officials who write short-short stories in their spare time. Their background alone could be a reason enough for their inclusion, but the merit of these stories lies in the subtlety, honesty, and stylistic innovation with which the authors portray life and society in rural towns. They bring up difficult issues about local Chinese governance that can only be rationalized in terms of Chinese cultural traditions and current social and political realities. The pedagogical purpose of Contemporary Chinese Short-Short Stories is clearly indicated in the introduction: “This parallel textbook integrates the learning of Chinese language with the learning of Chinese literature and culture for advanced students” (xv). To this end, there is a glossary after each story that provides pinyin, an English translation, and a Chinese sentence example for selected verbs, idioms, and colloquial expressions from the story. According to Mu and Smith, the selection of words and expressions in the glossary “is based on their uniqueness of usage and pronunciation and the possibility for ambiguity rather than on the frequency of their appearance” (xv). However, if a certain expression is included for its ambiguity, giving it a direct English translation in the glossary seems counterproductive, for it is very easy for students to take the English explanation as the definition of the word or phrase. For example, the term 上火 (shanghuo) is explained as “get angry” in the first story in chapter 1, which is correct in the context of the story. But in China, the most frequent use of the term shanghuo a student might encounter would be something like 荔枝吃多了上火 (when you eat too many lychees, your body gets heated up). In this context, shanghuo is used in its traditional Chinese medical sense of heating up the body (and therefore disturbing its yin-yang balance). As another example, 小崽子 (xiao zaizi) is explained as “a term of endearment, usually for small children” in the second story in chapter 2, but this usage is not always true in certain areas in China. For these phrases, the English explanation may lead the student to misconceive or misuse the expressions in real life, especially if the student uses the book for self-instruction, without a teacher’s guidance. Of course, the above examples are rare cases in the glossary, and most words and expressions are given clear and appropriate English translations. Used in the classroom, the instructor can easily make a distinction between the verbs and expressions that are safe to use in real life and those whose meanings vary depending on the context and the geographical region. This also provides an opportunity for the instructor to have a discussion on why and how certain phrases have different meanings in different contexts or geographical regions, which is, after all, an important part of advanced Chinese linguistic and cultural proficiency. At the very end of the book, Aili Mu includes a Chinese-only instructor’s guide. It provides thorough instructions on how to use the book in a language class, pedagogical suggestions, and even sample quizzes and class activities. This is very helpful and demonstrates Mu’s serious commitment to using short-short stories as authentic pedagogical materials for advanced Chinese education. This book comes at the right time, when there is a keen need for such books to address the increase in high-level Chinese language learning in the US. I sincerely hope it will inspire the publication of more of its kind in the near future and that publishers will consider offering parallel text editions for already published English translations of Chinese literature for the growing community of Chinese language and culture learners and educators.